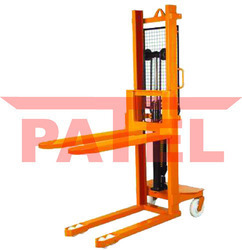 Our organization specializes in offering a superior range of Pallet Handling Equipment. 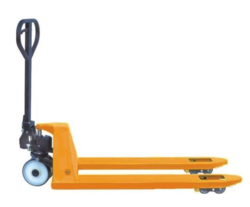 These product provide hydraulic cylinder part would be supported by single acting cylinder piston rod is inducted with hard chrome plated. 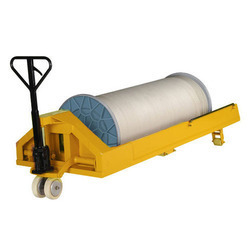 The sealing arrangement is of polyurethane seals, teflon seals for long life smooth working. Leak proof viper seals will be given to protect from ingress dirt & dust. 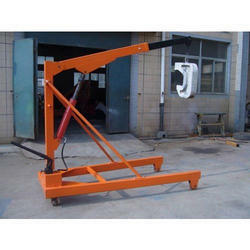 We are a leading manufacturer of Die Loader. 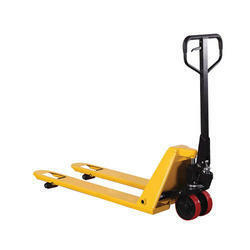 Also deals in die loader from India. 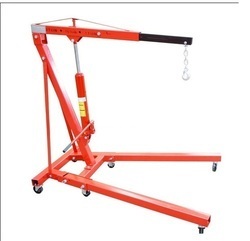 We offer unmatched range of Floor Cranes, Hydraulic Floor Cranes, Hydraulic Floor Cranes exporters, Hydraulic Floor Cranes wholesalers, Hydraulic Floor Cranes traders, Hydraulic Floor Cranes producers, Hydraulic Floor Cranes suppliers, Hydraulic Floor Cranes manufacturers, Hydraulic Floor Cranes manufacturer, Hydraulic Floor Cranes manufacturing companies, Hydraulic Floor Cranes companies for your sourcing needs, Hydraulic Floor Cranes Manufacturers, Hydraulic Floor Cranes Suppliers & Exporters, Hydraulic Floor Cranes production centers to our clients, which is available in different specifications and cater to the various requirements of our clients. 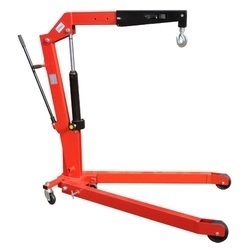 These are well known for the unique features such as durability, easy installation and high performance. 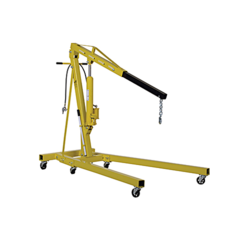 Furthermore, with the support of our team members, we meet the bulk demand of our clients within the committed time frame.We manufacture a wide range of floor cranes that are highly durable and rugged in construction. 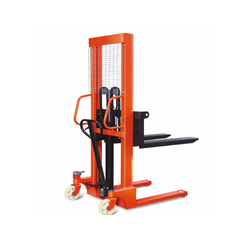 Customized as per the specifications of our clients, these are precision engineered and used for loading or unloading of material from trucks, maintenance work, dies loading on presses and various other applications. 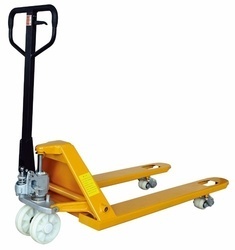 Wheel : 4 nos 10″ x 3″ UHME heavy duty block wheels with double ball bearing. 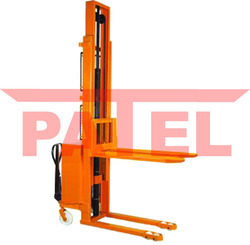 Our organization specializes in offering a superior range of Hydraulic Stacker. These products provide hydraulic cylinder part would be supported by single acting cylinder piston rod is inducted with hard chrome plated. 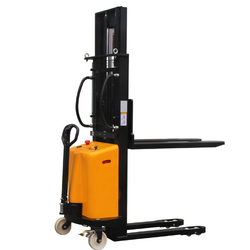 The sealing arrangement is of polyurethane seals, Teflon seals for long life smooth working. Leak-proof viper seals will be given to protect from ingress dirt & dust. 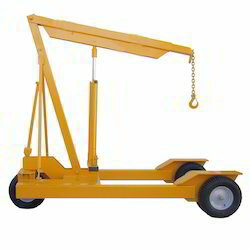 Our organization specializes in offering a superior range ofPortable Platforms. 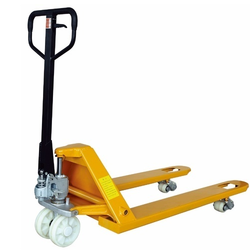 These product provide Portable Platforms part would be supported by single acting cylinder piston rod is inducted with hard chrome plated. The sealing arrangement is of polyurethane seals, teflon seals for long life smooth working. Leak proof viper seals will be given to protect from ingress dirt & dust. 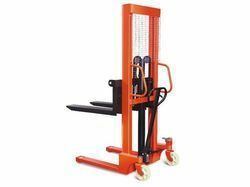 Supplier and manufacturer of Hydraulic Pallet Stacker , Industrial Stacker such as material handling pallet stackers and industrial pallet stackers. 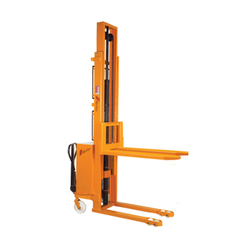 Also offering hydraulic scissors lift tables and high rise hydraulic scissors lift tables.